Half of the British public aren’t making regular efforts to reduce energy use. That’s the verdict from property expert Kirstie Allsopp, commenting as part of Smart Energy GB’s campaign to roll out smart meters across the nation. Research conducted by the company suggests 83% of people think it’s important to be environmentally conscious but only 47% actually make a regular effort to use gas and power more efficiently. A fifth don’t think individuals’ energy usage has an impact on the environment and a tenth say it is the government’s responsibility to become more sustainable. 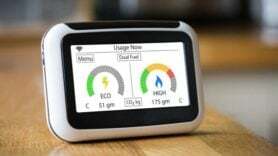 Smart Energy GB claims if every home in the UK got a smart meter, it could save enough combined energy each year to power the cities of Aberdeen, Cardiff and Manchester. Kirstie Allsopp said: “How can you help reduce your impact on the environment if you aren’t thinking about how much energy you use?